Located one block south of the SW corner of the zócolo. 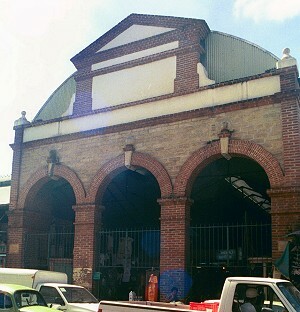 The Benito Juárez market occupies the inner spaces of a city block. It is located one block south of the SW corner of the zócolo. There are entrances all around the block. The south entrance is shown at left. Across the street to the south is Mercado 20 de Noviembre. 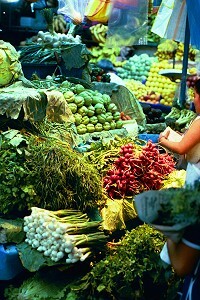 Within the market is a maze of small stalls selling such items as produce, meat, jewelry, mescal, cheese, clothing, leather goods, carvings, vegetables, fruit, fresh juice. In the 19th century this site was the location of the plaza, San Juan de Dios, which was one of the two main plazas of Oaxaca. The other plaza remains as the main zócolo. 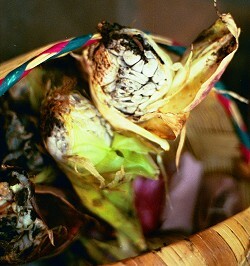 This is huitlacoche, a fungus that grows on corn. It tastes like a mushroom with a hint of corn. We enjoyed this prepared at several restaurants. The restaurant at Hostal de la Noria was quite good with this ingredient. 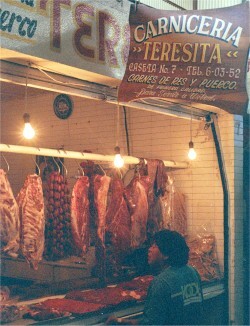 There were several stands selling fresh meat, unwrapped and unrefrigerated. Our guide called our attention to the fact that there weren't any flies around. This is due to salt on the meat. 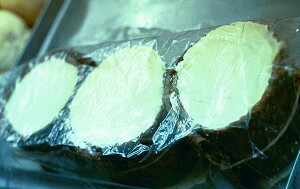 Quesillo These are the two principle Oaxacan cheeses, queso and quesillo. Queso is a soft cheese and is easy to make. Quesillo is a string cheese and is a more difficult process. 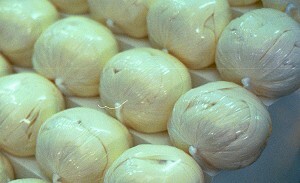 It is sold rolled up in balls as shown at left and is available in various sizes. The ones shown are the larger ones, about 5" in diameter. 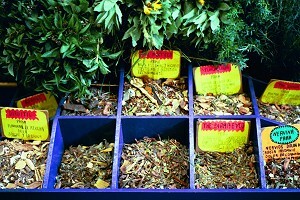 Copal incense is the dried resin of the copal tree. It has a piney aroma and is somewhat smokey when burned. 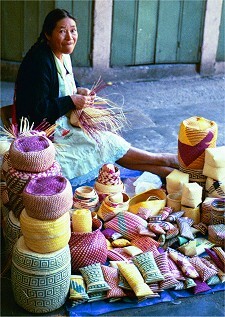 It is especially popular during the Day of the Dead celebrations. 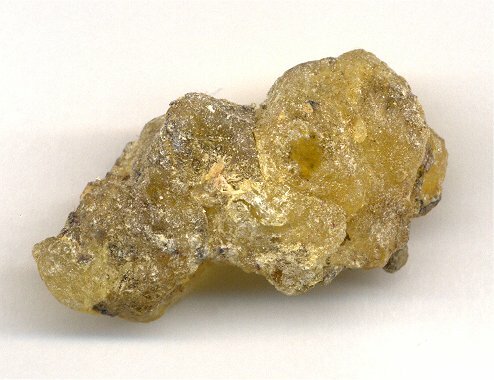 This 1.5" long piece of copal is the higher grade. 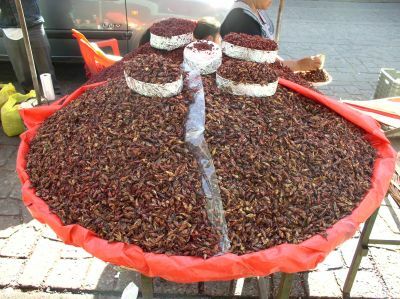 The lower grade, also available at the market, is black in color. 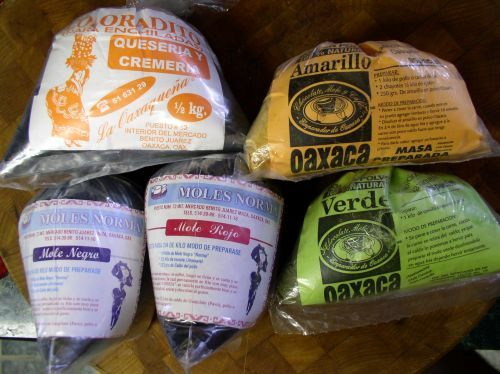 5 types of mole click for more detail There are 7 moles of Oaxaca. These are the 5 most common, available at the market. 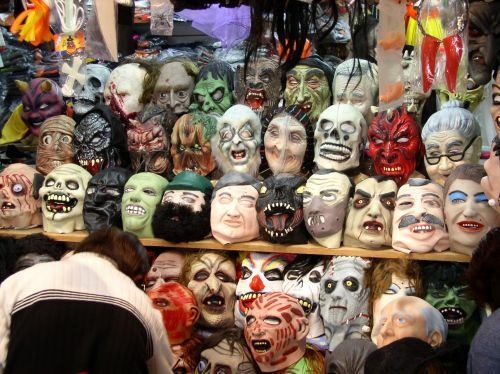 Halloween is coming up and this vendor is ready with an impressive display of masks. 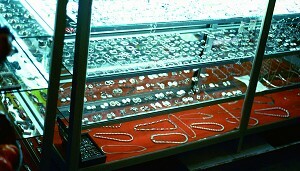 This display was found on the sidewalk on the east side of the market. Free samples were being given to passersby. 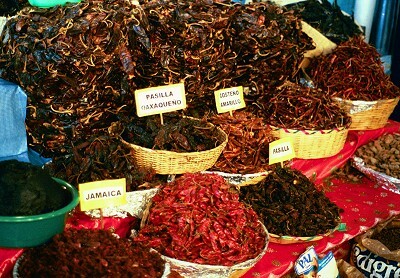 They actually taste pretty good--no, not like chicken--but like chile and salt.